Hope you all had a great bank holiday weekend, we had a chilled out family weekend, went for some walks and had lunch out. We bought Lucas a ball pool so he’s been enjoying playing in that this week. Lucas is wearing a colourful shirt from Next today with jeans from Tesco. I’m trying to get through all his clothes before he grows out of them. I hate the thought of some not being worn. What a lovely colourful shirt – it’s really cute! And he looks so pleased with himself being able to roll over … he’ll be on the move before you know it! 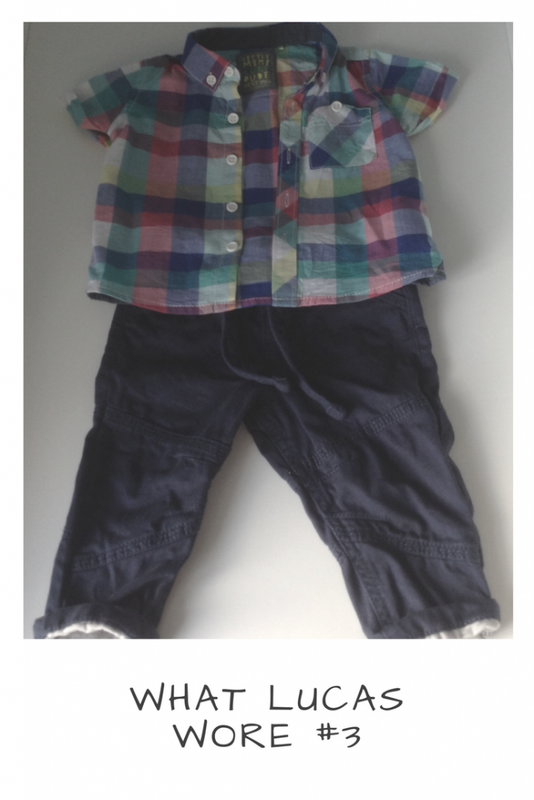 This outfit is adorable, I absolutely love seeing little baby boys in shirts, it is so cute!